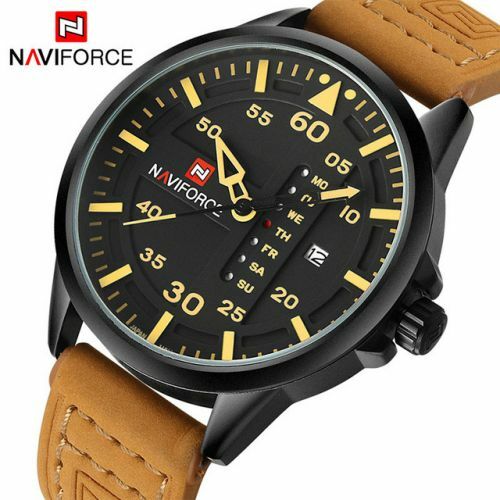 Check out this awesome military-style time piece, complete with date, time and complete calendar modelled from a classic analog aircraft altimeter! Large, stand out dial design and a solid case thickness - you know this watch makes a bold statement when you wear it. This not only looks tough, but with the high quality leather band also means you can dress this up and wear it for all occasions.